Wash and peel the outer skin of beets and grate it finely in a grater. I used my chopper to make the process easier. In a pan put the grated beets and add water till it immerse. Let it cook to perfection. Once the beets turns soft, add the sugar to it. Mix it. Throw the cardamom (crush it before use) to the beets and mix again. 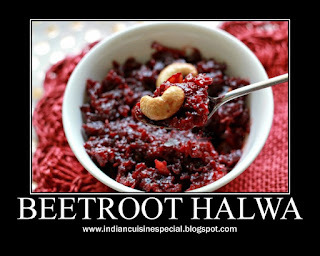 Once the beets and sugar are cooked, add the roasted cashews along with the ghee. Add some more ghee if needed.